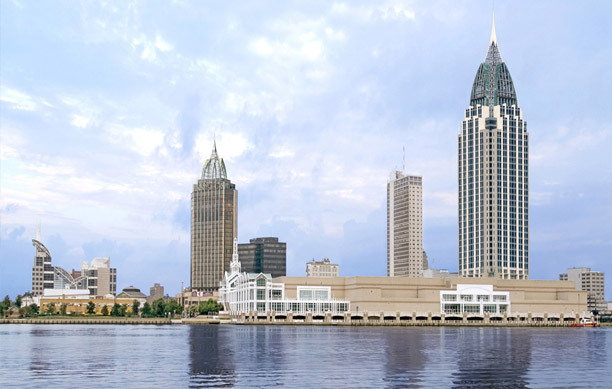 Located at the foot of the Mobile River, the city offers abundant recreational opportunities that include the pristine river delta, the expansive Mobile Bay waters and the immaculate white sandy beaches of the Gulf of Mexico. The city is known for its famous MoonPie Drop for New Year's Eve celebrating. As the birthplace of Mardi Gras, the city's carnival season attracts people from near and far. USS Alabama Battleship Memorial Park and the Mobile Alabama Cruise Terminal exist side by side among a wide array of leisure time pursuits. The area is exceptionally affordable as well, with the overall cost of living index at 84 percent of the national average. The housing cost of living index is ranked at a low of 58 percent of the national average, providing exceptional affordability for home purchases.